Our multi-talented team have once again turned their hands to a new skill! 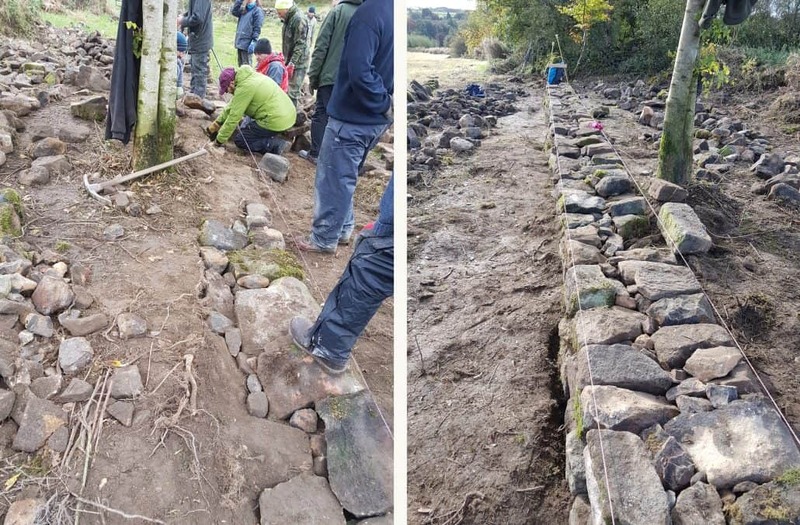 Recognising that his family needed a little assistance in the repair of some rather dilapidated walling, savvy Sales Manager, John Towle, recently enlisted himself on a weekend of tuition with a Derbyshire Dry Stone Walling Association. 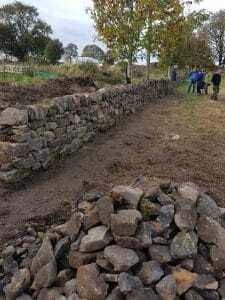 The enthusiastic team of 16 like-minded men and women, under the fabulous tutelage of highly qualified instructors, attended a local farm and had an amazing day taking apart, and then rebuilding, 15 yards of ancient wall….. And the results show what a great job they made of it! As John noted ‘I never knew there was so much technology in putting one stone on top of another! That’s my weekends sorted for the next year or two’. Lovely work John and great to see such dedicated people keeping these beautiful crafts alive – our countryside just wouldn’t look the same without these iconic features! Or completing and submitting the form found on our Contact page.